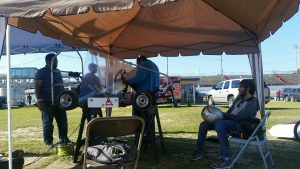 On April 27, 2018 Electrathon of Tampa Bay members traveled to North Florida for the Emerald Coast 120/Five Flags Speedway Race in Pensacola. Team USF was able to bring three cars to represent ETO at the event. The morning started out cooler than we are used to. Our first challenge was at inspections. John and Stephen both passed weigh in and the 20 second exit of the car. 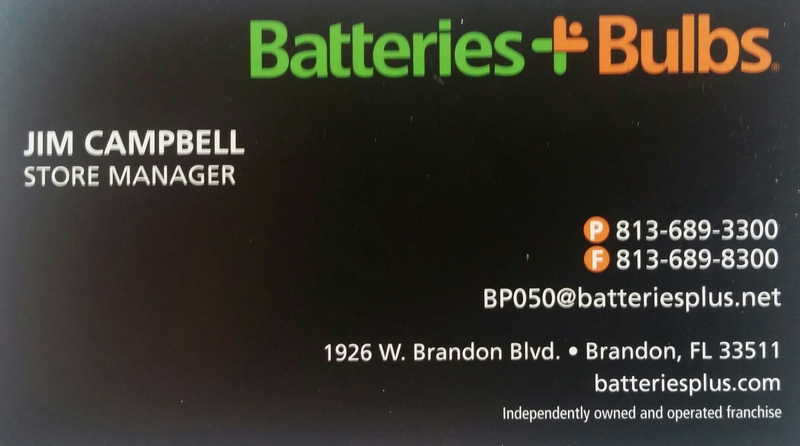 The car did not do as well, it did not pass inspection as it is still in the developmental stages to get it 100%. The USF car 132 (Aditya) and Jim Robinson’s loaner Car 94 (Adam) passed without any issue. During the first race Car 132 experienced issues with the rear wheel spokes and finished 10 laps behind Steve Archer of Archer Racing, Car 321. The Robinson loaner Car 94 experienced battery issues towards the end of the first race. After an excellent lunch which was provided to everyone at no cost, we had everything on the cars ready to go. 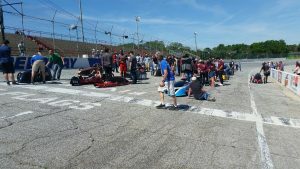 We want to thank all of the race officials, Vaughn Nicholas, Gulf Power and Five Flags Speedway for this great event. We had to let the race officials know that we had a change in drivers for the 94 Car. Charlie had to suit up and weigh in. Passing the weigh in without a problem, the 20 second exit was next, It took 14 seconds and a not so pretty sight but we passed it also. During the second race, Aditya was determined to make up the 10 laps and grab a couple more. He accomplished this task with 12 laps ahead of Archer Racing in the second race. Car 94 completed 50 laps and still had some battery power at the end of the race. During the race day their were a few cars that had mechanical issues causing some of them to wreck/flip over. Race video battery died before the roll over of cars. 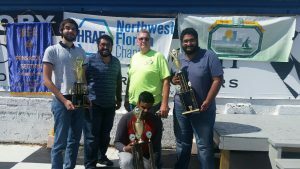 Car 94 (Adam and Charlie) took 3rd place in the Open Class, Archer Racing Car 321 (Steve) took second place and USF Car 132 (Aditya) took first place. 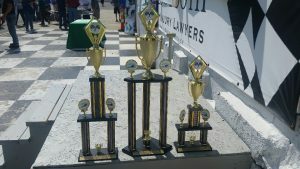 USF Car 132 also took first place overall. I really got into this post. I found it very interesting and loaded with unique points of interest. I like to read material that makes me think. ThanksThank you for writing this great content.